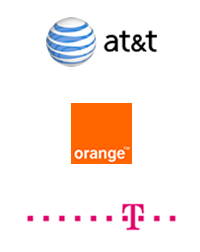 The status of the W3C WEBRTC and the IETF RTCWEB standardization are covered. Introducing the internals of Opus and describing how it works, which algorithms are used, and how to use Opus. The new IETF Codec “Opus” is ranging from narrowband to fullband. Furthermore, it is optimized for the Internet supporting frame length from 2.5 ms to 60 ms as well as for the adjustments of playout times. Explaining why telcos can provide a more reliable service than OTTs by tayloring a service to their network. OTT players don‘t have to wait for standards and can implement new features quickly as they don't rely on any but the most basic functions of the underlying network. Describing how RTCWEB can reduce the number of necessary standards by separating trust relationships from transport relationships. This can be achieved by combining RTCWEB and 3rd party authentication. Demonstrating that IETF‘s smart endpoint philosophy allows every kind of application, but that the intractable endpoint diversity makes it hard to provide a consistent level of service. 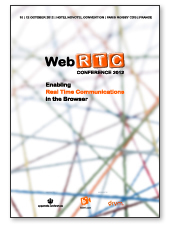 WEBRTC/RTCWEB has the potential to get the best out of both architectural philosophies.